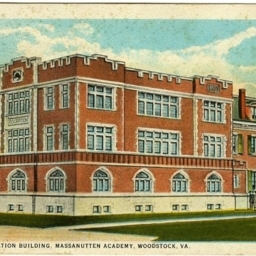 Administration Building, Massanutten Academy, Woodstock, VA.
Color postcard with a picture of the Administration Building (now Sperry Hall) at Massanutten Academy, now military academy, in Woodstock Virginia. C.T. 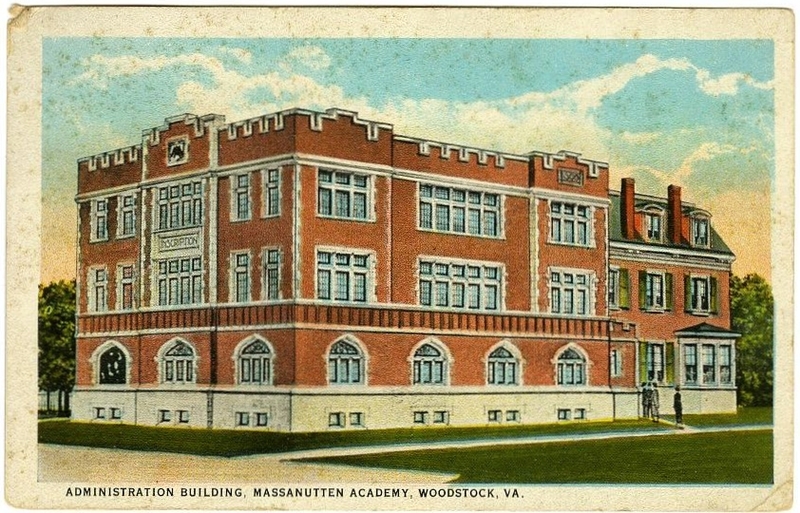 American Art Colored, “Administration Building, Massanutten Academy, Woodstock, VA.,” Shenandoah County Library Archives, accessed April 25, 2019, http://archives.countylib.org/items/show/5274.